Ashford supplies the best cleaning products, equipment, and paper products to janitorial services companies and individuals in the Jacksonville and north Florida area. We invite you to visit our showroom and use our expertise to determine which cleaning products will serve you best. We’ll also gladly custom order any brand you need. 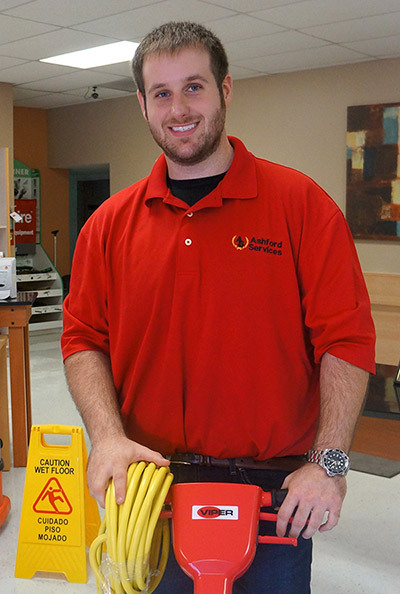 We are the exclusive north Florida distributor of top-of-the-line Hillyard cleaning products. We choose to carry Hillyard since they have been delivering exceptionally effective and innovative solutions to meet the evolving needs of the professional cleaning industry since 1907. Contact us or stop by our showroom to learn more about our cleaning supplies. Ashford’s goal is to make your job easier by supplying the right tool for your cleaning job. To that end, we carry Viper Cleaning Vacs and Autoscrubbers, which are the best, safest and eco-friendliest products on the market. Viper's cost-effective floor cleaning systems have everything you need to set higher industry standards and keep your business running smoothly. Contact us or stop by our showroom to learn more about how Viper and our other equipment brands can help you deliver better service to your clients. Von Drehle has an unmatched reputation for the being the best paper products. Contact us or stop by our showroom and let us demonstrate how Von Drehle paper products can help the sanitary needs of your clients.